Happiness as we all know, if we take the time to consider, is connected to everything, and connected to nothing. It cannot be bought or sold and it cannot be measured against any physical scale. It is determined by a combination of our circumstances and the way in which we are controlled by, or are controlling, those circumstances. What a pleasure to read this on happiness. 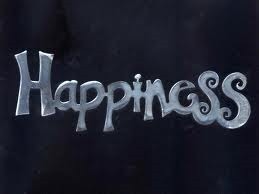 Sometimes I think that happiness encompasses everything. Family, friends work fulfillment health etc. What’s your opinion?